Biogas is produced from the process of anaerobic digestion in which microorganisms break down biodegradable material in the absence of oxygen. Biogas is composed of the following elements: methane (CH4, 50 – 75%), carbon dioxide (CO2, 25 – 45%), water (H2O), nitrogen (N2), oxygen (O2 ), hydrogen sulfide (H2S), ammonia (NH3), and trace elements (organo-halogenated, siloxanes, etc.). Biogas can be used for heating and power. When it is purified, biogas is transformed into “biomethane” or “BioGNV” and can be used for gas vehicles or injection into a natural gas network. To achieve the quality of natural gas (98 % of methane), we remove CO2, water and other compounds. The biomethane will then be in compliance with the BNQ 3672-100 standard. 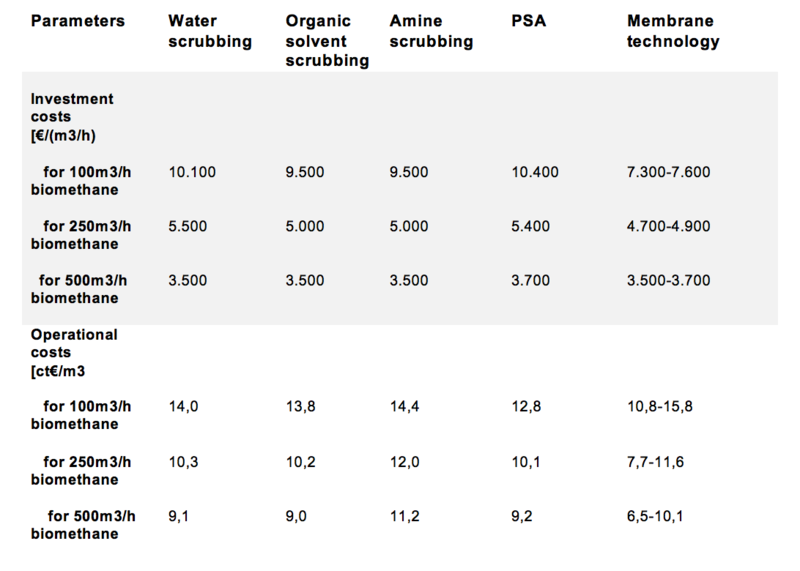 Water scrubbing: process based on physical absorption employing water as a solvent for dissolving CO2. The reason why absorption in water is emplyed is that solubility of CO2 in water is many times higher than solubility of CH4 in water. Chemical absorption: based on dissolving CO2 from biogas in a solvent. However, absorption is associated with chemical reaction (between CO2 and solvent). Pressure Swing Adsorption or PSA: carbon dioxyde is separated using physical prperties. Biogas is upgraded using adsorbing material such as activated carbon or zeolites, which absorb carbon dioxide. Membrane separation: membrane allows CO2 pass while retaining CH4. Cryogenic separation: successive refrigeration to produce liquid CO2 and liquified biomethane (GST technique) or anti-sublimation of CO2 to produce liquid CO2 and biomethane gas. DMT Clear Gas Solutions is the fastest growing biogas technology company in the world. 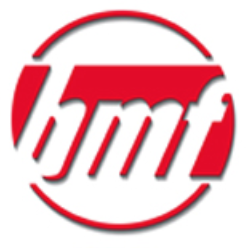 DMT has invested almost 30 years in the field of biogas upgrading and desulphurization. 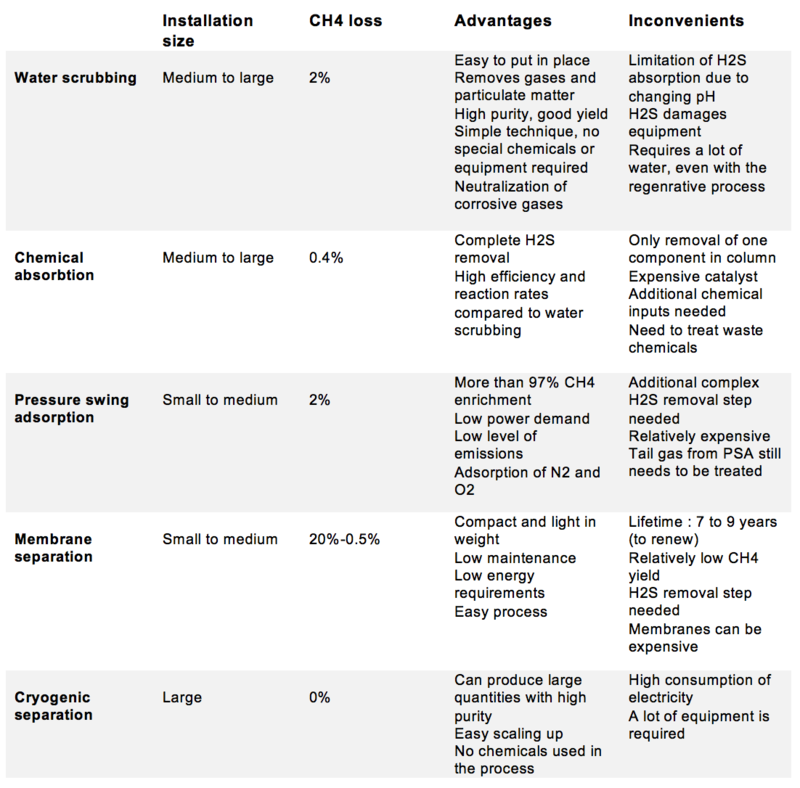 One of the major product lines DMT Environmental Technology offers is the Carborex MS. This system upgrades biogas to pure methane. The biomethane can be supplied to the national gas grid, or be compressed to Natural Gas (Carborex CNG), to be used as vehicle fuel. DMT also provides the technology for converting (bio)gas to LNG. This process has the advantages that it is a dry process (no chemicals involved), it has low energy consumption and is easy to operate. The whole system is built on a skid or in a container which results in a low footprint and easy transportable system. It is therefore a clear cleantech solution with low operational costs (OPEX). As a greenhouse gas, biogas cannot be vented to atmosphere and must be incinerated in a flare. AirScience Enclosed Gas Flares are specifically designed for biogas incineration. These flares are designed for continuous operation as is the case for landfill gas applications. Pentair Haffmans offers trend-setting solutions for biogas upgrading and CO2recovery in biogas plants using membrane and cryogenic technologies. Puregas Solutions delivers several options for treating biogas, ranging from upgrading to biomethane (Renewable Natural Gas) for grid injection, compression for bioCNG, to liquefaction for bioLNG and fuelling infrastructure. With more than 20 years history and experience Puregas Solutions designs and delivers biogas upgrading solutions using the unique CApure process. The CApure process recovers over 99.9% of the biomethane present in the raw biogas by separating the CO2 from the biogas through a process of chemical adsorption. The selective organic solvents used in this process are so efficient that the product gas can contain over 99% biomethane. Eco-Tec designs, develops, and manufactures equipment for industrial water treatment and purification of chemicals and gases. In business since 1970, Eco-Tec has supplied over 2,000 systems to more than 60 countries. Eco-Tec’s Biogas Purification System – BgPur™ – is an award-winning technology that reduces sulfur dioxide emissions, equipment corrosion, and fouling by removing hydrogen sulfide (H2S) from biogas; in turn, BgPur recovers the biogas for multiple power-generation applications – with no waste or disposal of potentially hazardous media. The BMF HAASE Biogas-Upgrader refines biogas to biomethane by organic-physical scrubbing. This particularly efficient method is characterized by low methane emissions and low power consumption. The BMF HAASE Biogas-Upgrader displays a positive heat balance and upgrades biogas without any heat loss. The required process heat is produced by the system itself even using the low methane slip which is returned into the process. With over 20 years of experience, HoSt is one of the leading suppliers of turn-key biogas plants in Europe. HoSt supplies anaerobic digesters for agriculture and industry, biogas upgrading systems, wood-fired boilers and combined heat and power plants, and fluidized-bed gasifiers. HoSt offers a containerised compact system that can upgrade biogas to natural gas quality. This unit is able to separate methane from the biogas with a very high efficiency (>99%). The biomethane is produced to meet the specification of the natural gas. The units are modular and scalable from 40 to 2,000 Nm3/hr of biogas. 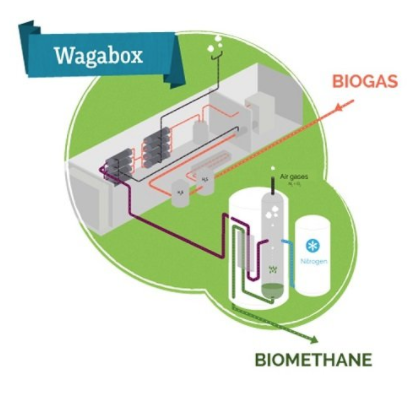 The WAGA-ENERGY WAGABOX is a technology breakthrough enable to produce pure biomethane from landfill gas at a competitive cost compared with fossil fuels. 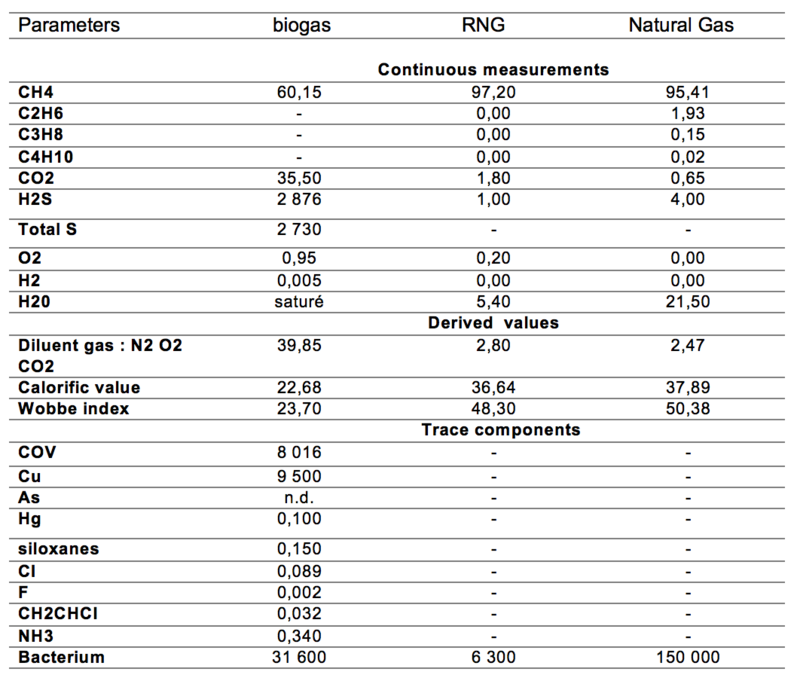 Biomethane quality is compliant with gas grid specifications. Biomethane can be injected in the gas grid to substitute natural gas or used as vehicle fuel. Evonik has developed a biogas upgrading process that makes best use of the membranes’ separation properties: Through skillful connection of SEPURAN® Green membranes it is possible to obtain methane with a purity level of up to 99% from the crude gas. Just one compressor is needed. In addition to anaerobic digestion systems, BIOFerm offers biogas upgrading and gas-to-grid injection as North America’s exclusive provider of the Carbotech Pressure Swing Adsorption (PSA).Over 900 of our Carbotech PSA systems have been installed to-date. These systems utilize PSA technology to scrub raw biogas (from AD systems, landfills, municipalities, wastewater treatment plants, agricultural operations, etc.) and upgrade it to RNG for pipeline injection, or for use as fuel in the forms of CNG or LNG. Unique in the biogas industry is our ability to provide modular, all-inclusive gas upgrading solutions that include all the necessary upgrading components. To find more companies and products in biogas upgrading, visit the Products section of our website.